Here's a Part 2 beauty advent calendar as promised. In this post, the beauty advent calendar are not available in Malaysia, but if you are going to travel or have address in oversea which you can ship to, these are great options for you. Some brands also ship to Malaysia, but I don't think it is worth it just for the advent calendar. Tanya Burr advent calendar is probably one of the most sought after. Last year's edition was sold out within a day. It is really affordable and one of the cheapest and packed with a lot of Tanya Burr cosmetic goodies. 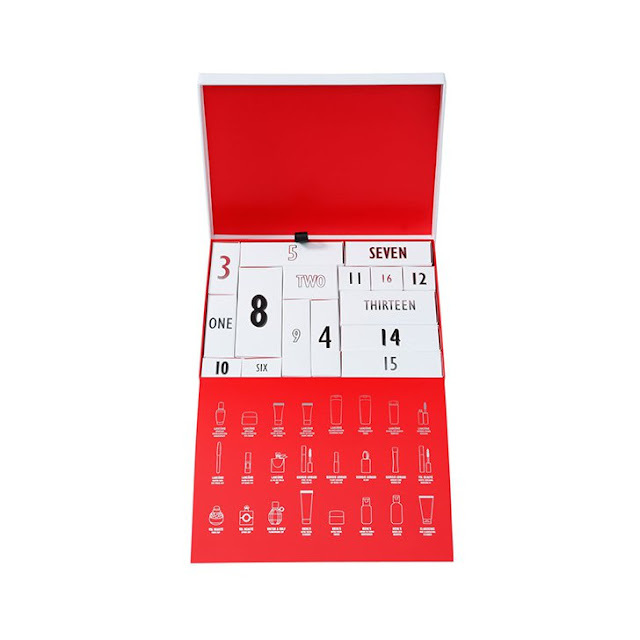 This is a half advent calendar which consists of 12 products only. It is available at Superdrug in the UK. 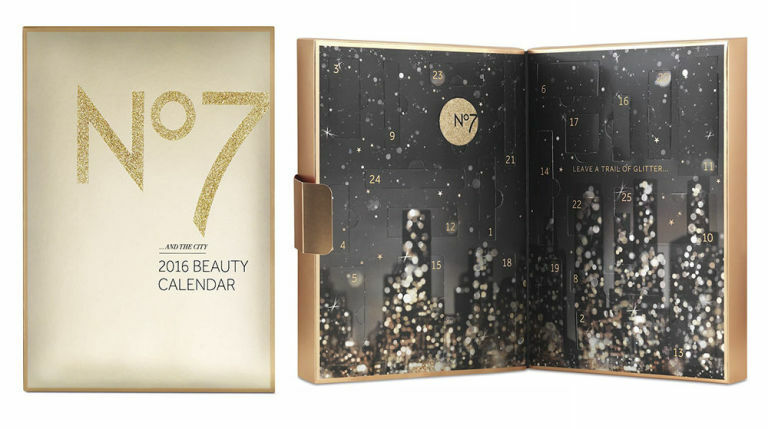 Fans of No7 skincare are able to sample the various products from this advent calendar. It has 25 products (one extra bonus, yay!) and comes with cosmetic as well. It is available at Boots (UK) as usual. Not sure if Boots in other countries will be bringing this in. 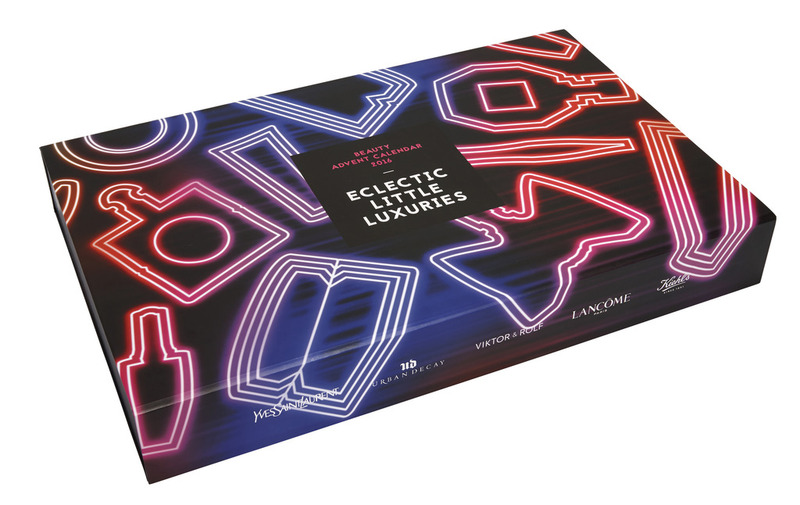 This luxury beauty brand will be featuring all the best sellers in the advent calendar which called the World of Legendary Parties. It is available in Selfridges, Brown Thomas and basically everywhere that sells Charlotte Tilbury. It is a half advent calendar (12 products) but all of it comes in travel size which is really an adequate size to try out the product wholly. I am not sure why til now LUSH isn't in Malaysia. We have so many fans of the brand here. Anyway, the half advent calendar comes with their Christmas treats. Be sure not to place this in hot area to prevent the bathbomb melt. Available at all LUSH outlets. 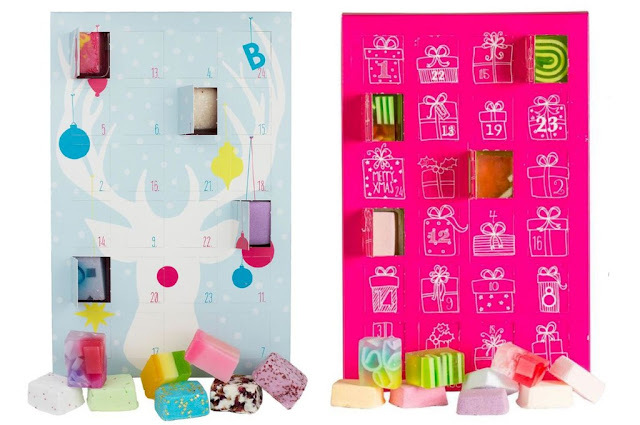 Makeup rookie will love this advent calendar because it has all the makeup necessities for you to start your makeup collection. You will be getting eyeliner, mascara, lipstick, eyeshadow, blush, primer, lipgloss, eyebrow pencil, nail polish and many more. With the price and what you are getting is a full advent calendar, this has to be the best in terms of value. Previously Makeup Revolution made it to Malaysia. I have not heard of them in awhile. In London, Makeup Revolution is a huge drugstore brand. This also another great one with 24 products in it. It also comes with an eyeshadow palette. Available at all Makeup Revolution counters. 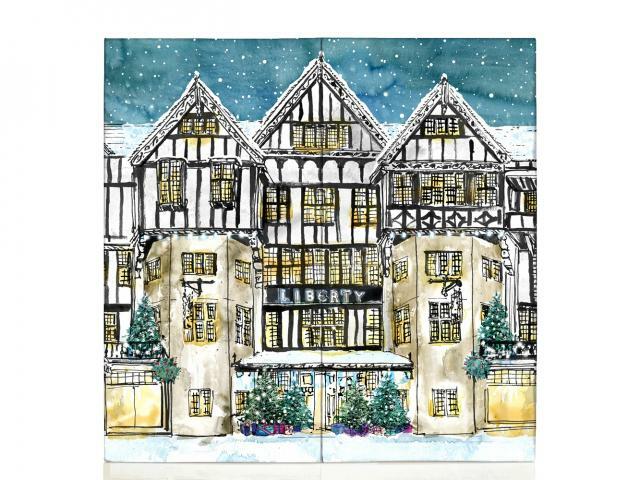 I really love the box of the Liberty London advent calendar. It has NARS, Bobbi Brown, Kai, Dermalogica, Diptyque, Laura Mercier and many more. Liberty London ships internationally with additional £20 charges. Available at LibertyLondon.com. Myer is my favourite store in Australia. It is also where my love for beauty developed when they sent me lots of samples from their usual brands. Expect similar brands such as Dermalogica, Laura Mercier, NARS, OPI, etc. You can guess the content from the outlines drafted on the box. I think I see Christian Dior. All my favourite brands are in this box - Yves Saint Laurent, Urban Decay, Viktor & Rolf, Lancome and Kiehl's. For the price below £100 it is really reasonable since you will get all the high end brands. Selfridges ships internationally for shipping charge of £25. OK, the box is really luxurios, but it is also lack of Christmas feel to it. 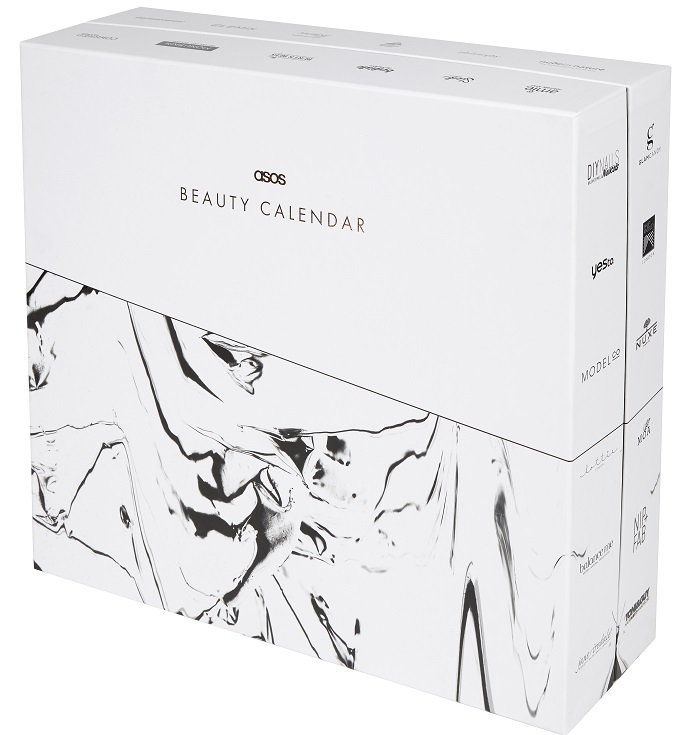 The box has ASOS skincare, cosmetic and hair care best sellers. With a price of 50 pounds, you will get a whooping of 150 pounds value. Available now at ASOS website. Delivers to Malaysia for just £3!!! You will get products such as Nip + Fab, Toni & Guy, and many more. 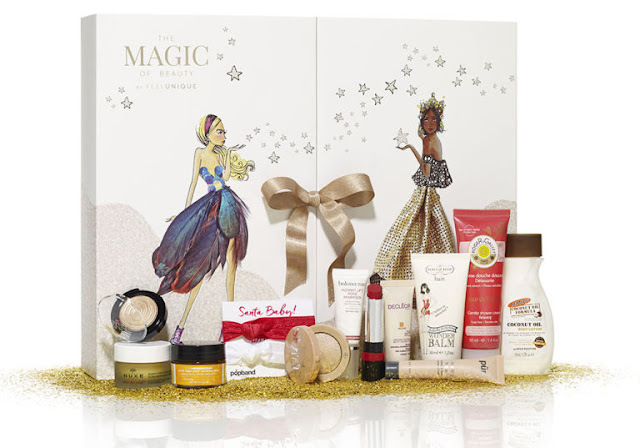 Featuring all the best sellers from Feel Unique, this advent calendar is named as the Magic of Beauty. The packaging is tastefully done and the products are carefully selected to cover skincare, makeups, hair care and body care. Available at all Feel Unique website. Delivery to Malaysia is available. Another vegan skincare similar to LUSH. Packed in bath bombs, soap, hair care, body butter and many more handmade goodness. Available online only. I'm not familiar with this brand, do let me know if they're good. I believe we can get Dirty Works from Muse by Watson, but I don't think it is available here. A lot of body products here, and they also include some tools. Available at Sainsburys. The Kissmas Cosmetic Advent calendar is probably the best if you are going to gift a teenage girl. It has all the makeup beginner products such as lipgloss, eyeshadow, nail polish and some other tools and stickers. Available at Wilko. This wraps up the two parts of the advent calendar. If you missed out the first part, do check it out <<here>>. Advent calendar not only allows you to try out the different products in a small quantity and low prices, if you are going to give it to someone, it is a present that people appreciate. Also, if you split up the content, you can put it as a stocking stuffer! 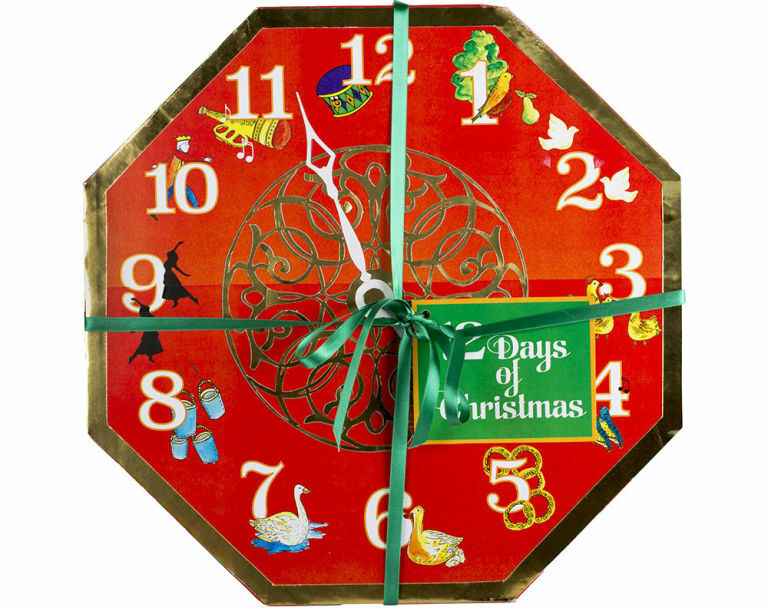 Will you get any of the advent calendar this year?